The Real Estate andConstruction market has been changing over the past few years. 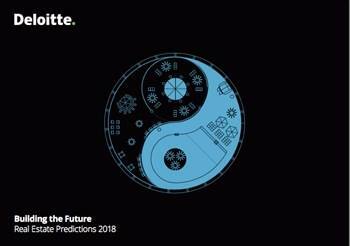 With all these changes going on, Deloitte Real Estate is releasing the Real Estate Predictions 2018. We hope the predictions enhance your understanding of the opportunities within thereal estate industry. Have an interesting read!